Euro Baby has everything you need for safely transporting babies and young children – from prams and buggies to car seats and whole travel systems! Euro Baby also stocks a huge range of nursery accessories, and everything you need for a new arrival! Whether you are a first-time mum & dad or an experienced parent, Euro Baby offers you the best advice, the best products, and the keenest prices in the country. 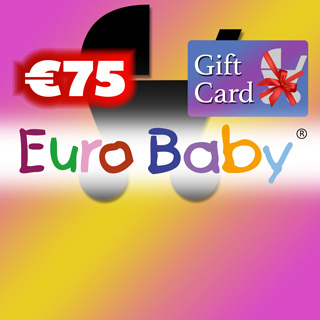 With major retail stores in Long Mile Road and Airside Motor Mall you are only ever a short buggy-push from your nearest Euro Baby store! 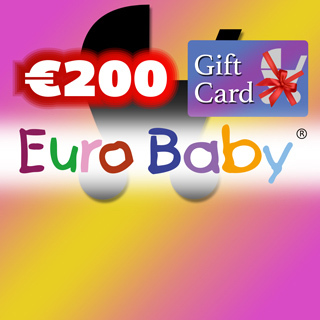 Euro Baby gift cards are available in denominations of €25 (e.g. €25, €50, €75, €100, €125, €150 etc). Minimum gift card value is €25. Euro Baby has everything you need for safely transporting babies and young children – from prams and buggies to car seats and whole travel systems! With major retail stores in Long Mile Road and Airside Motor Mall, you are only ever a short buggy-push from your nearest Euro Baby store! 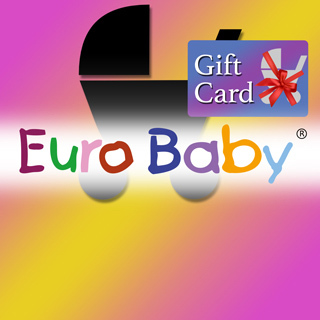 Euro Baby prides themselves on its customer service and expertise. All staff receive rigorous training and will go the extra mile to assist you with any questions you may have. Whether you are a first-time mum & dad or an experienced parent, Euro Baby offers you the best advice, the best products, and the keenest prices in the country.